CHARLESTON, W.Va. – West Virginia is falling short when it comes to passing policies to prevent and reduce suffering and death from cancer, according to a new report by the American Cancer Society Cancer Action Network. “How Do You Measure up? 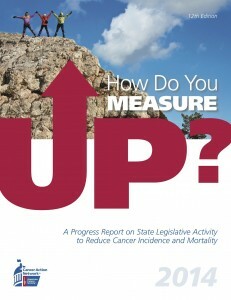 : A Progress Report on State Legislative Activity to Reduce Cancer Incidence and Mortality” evaluates each state’s activity on issues crucial to winning the fight against cancer. The report by American Cancer Society Cancer Action Network (ACS CAN), the advocacy affiliate of the American Cancer Society, finds that West Virginia measured up to benchmarks in only 1 of the 12 measured areas. “How Do You Measure Up?” grades states on 12 policy areas: breast and cervical cancer early detection program funding; tanning device restrictions for minors; physical education time requirements; smoke-free laws; tobacco prevention program funding; tobacco tax rates and increases overtime; access to tobacco cessation services in Medicaid; increased access to Medicaid; policies to prevent and treat pain; access to palliative care and restrictions on tobacco ratings, or charging tobacco users up to 50 percent higher premiums for health coverage. A color-coded system classifies how well a state is doing in each issue. Green shows that a state has adopted evidence-based policies and best practices; yellow indhttps://wvpress.org/wp-content/uploads/2014/08/Cigarette-Tax.jpgicates moderate movement toward the benchmark and red shows where states are falling short. 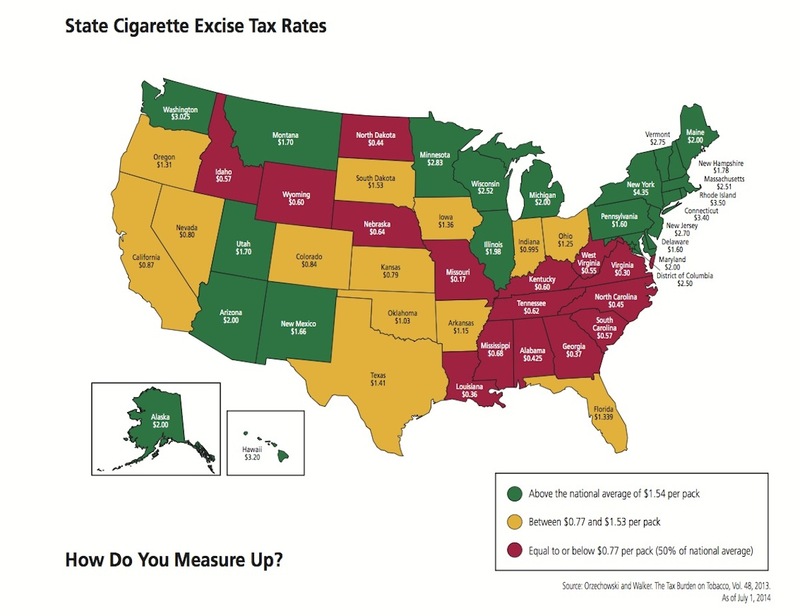 The report also offers a blueprint for effective legislation on matters such as effectively implementing the health care https://wvpress.org/wp-content/uploads/2014/08/Cigarette-Tax.jpglaw for cancer patients and their families. Brown said West Virginia has an opportunity to improve its grades in the next legislative session by passing a comprehensive smoke-free law, increasing taxes on all tobacco products and adequately funding the Breast and Cervical Cancer Early Detection Program. Nationally, the report finds that only one state is measuring up, meaning they are meeting the benchmark in nine or more legislative priority areas measured. Forty states land in the falling behind category, meeting benchmarks in just four or fewer of the measured issues. Just 10 states fall in the middle category meeting benchmarks in five to nine issue areas. In 2014, it is estimated that more than 1.6 million people in the United States will be diagnosed with cancer and more than 580,000 people will die from the disease. In West Virginia this year, an estimated 11,700 will be diagnosed with cancer and another 4,680 will die of the disease. To view the complete report and details on West Virginia’s grades, visit www.acscan.org.